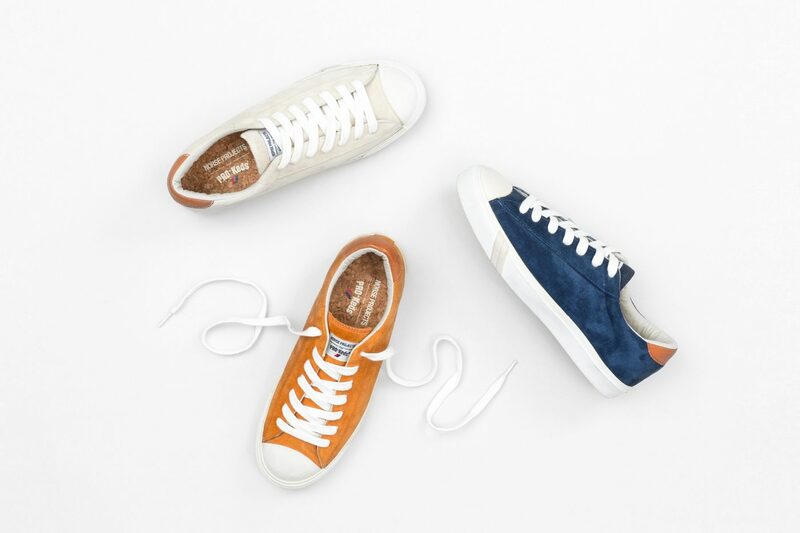 Norse Projects is proud to announce a partnership with iconic footwear brand, Pro-Keds. In a capsule collection featuring a re-worked Pro-Keds Royal Master, Norse Projects present a stripped down version in three colourways drawn from prominent elements in Copenhagen everyday life: the ocean, the beach and old town. Originally released in 1972 as the Royal Plus, The Royal Master was one of the most well-known Pro-Keds basketball styles created. Revered for its high performance and unquestionable style, the Royal Master’s legacy was shaped by some of the greatest players in the game and gained its credibility through creative personalities on the street. For this release, they feature a soft pigskin suede outer, cork inner sole and are lined with premium leather. To finish, the leather heel tab is aniline dyed.